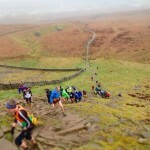 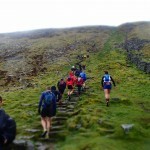 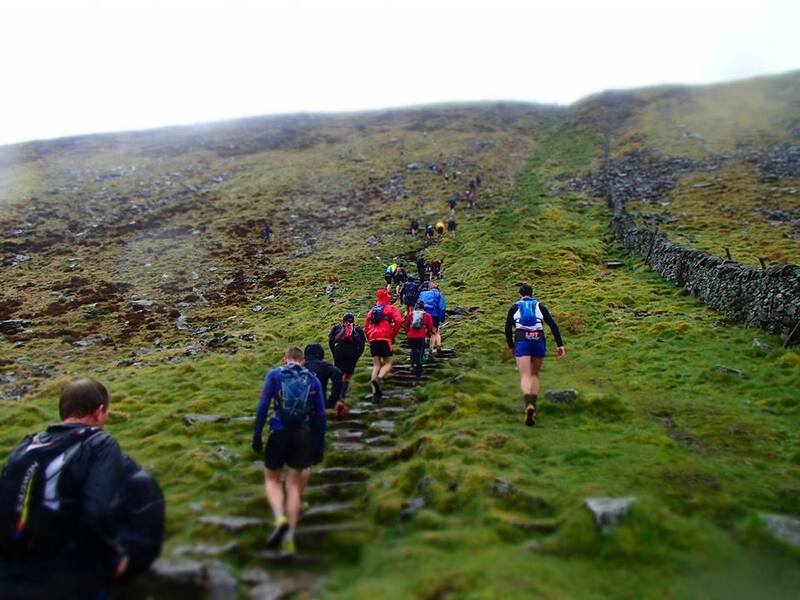 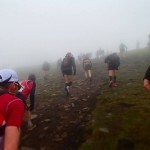 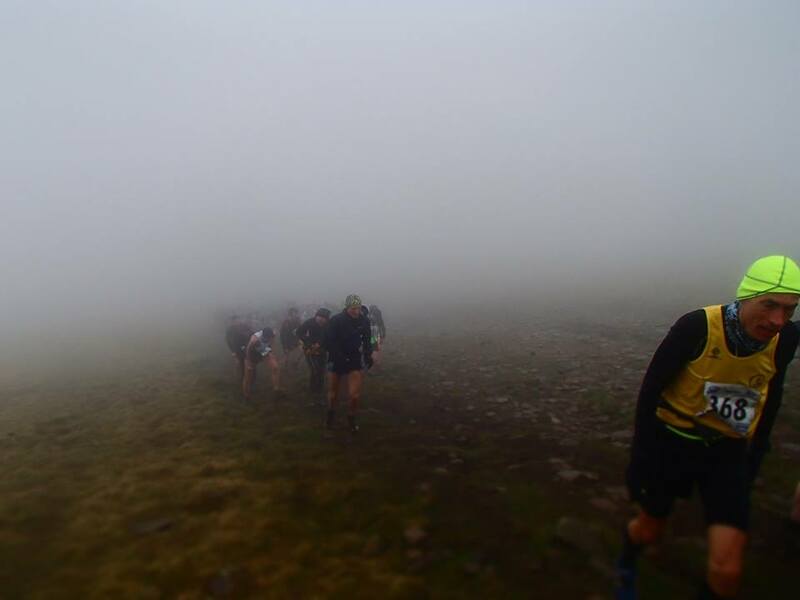 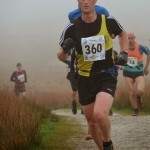 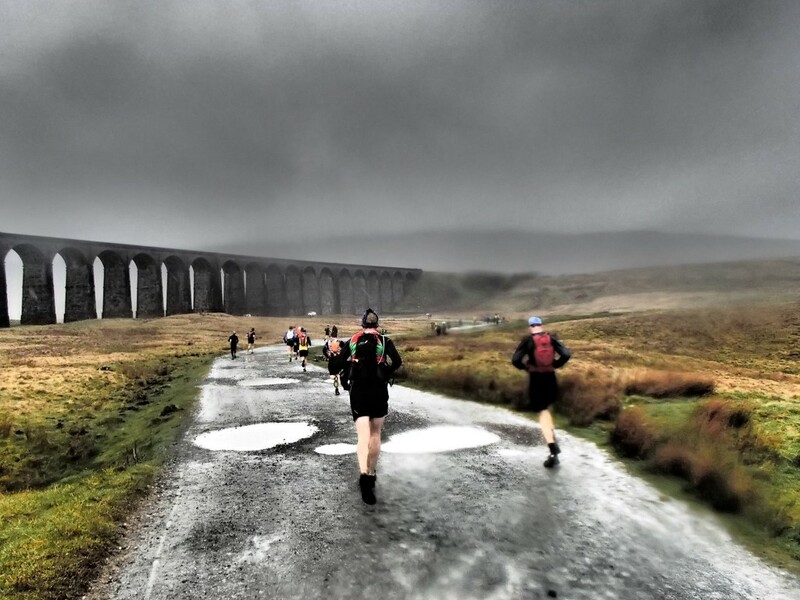 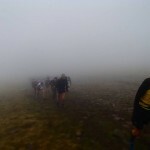 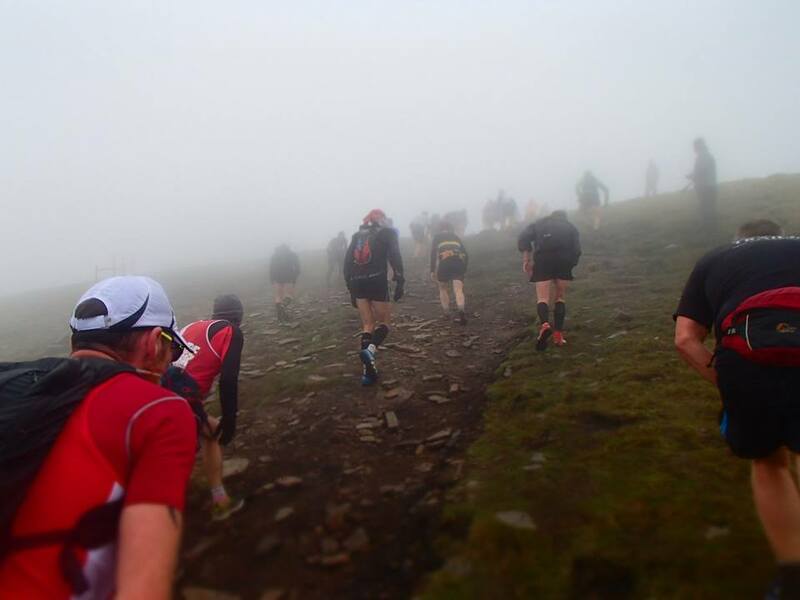 Good news , all our runners in the 23 mile Yorkshire Three Peaks race made it in one piece to the finish. 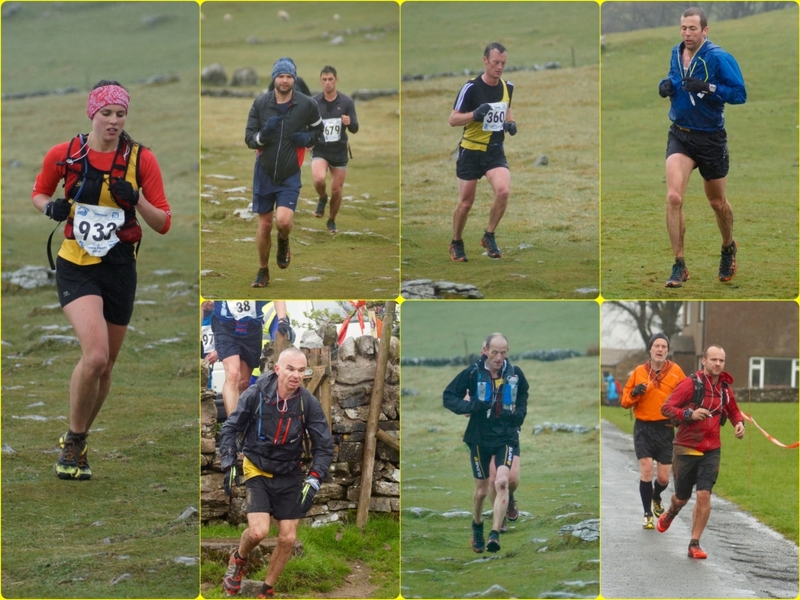 All eight of our entrants posted fantastic times , and are sure to look back fondly on the event once the cramp and shivering have subsided. 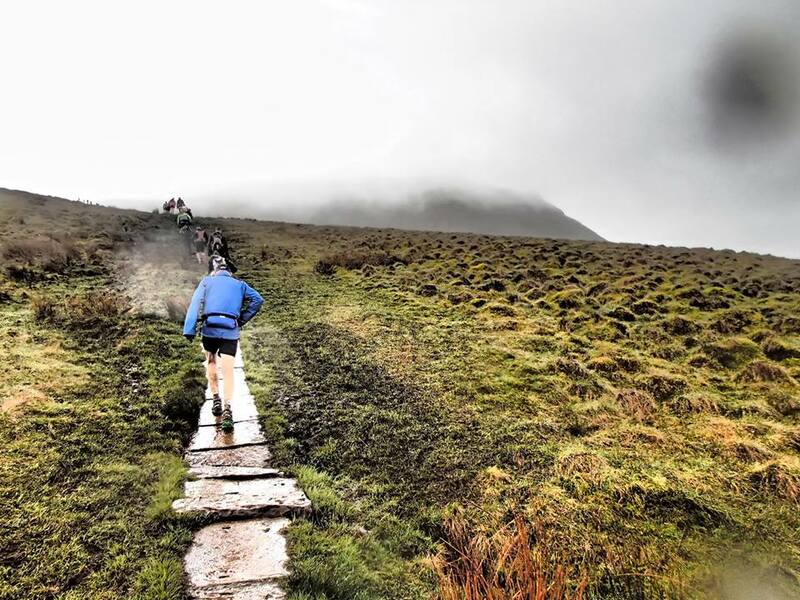 Three of our runners were new to the event , so given the cold, wet and misty conditions they had a very un-literal baptism of fire. 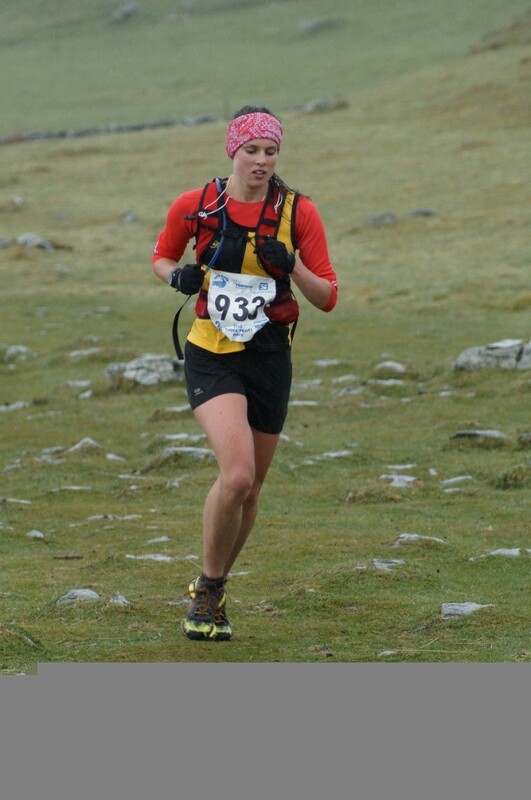 -Anwen Darlington stormed her way around the course to record a splendid time of 4h:02m:29s for 217th and a perch amongst the top 15 Ladies. 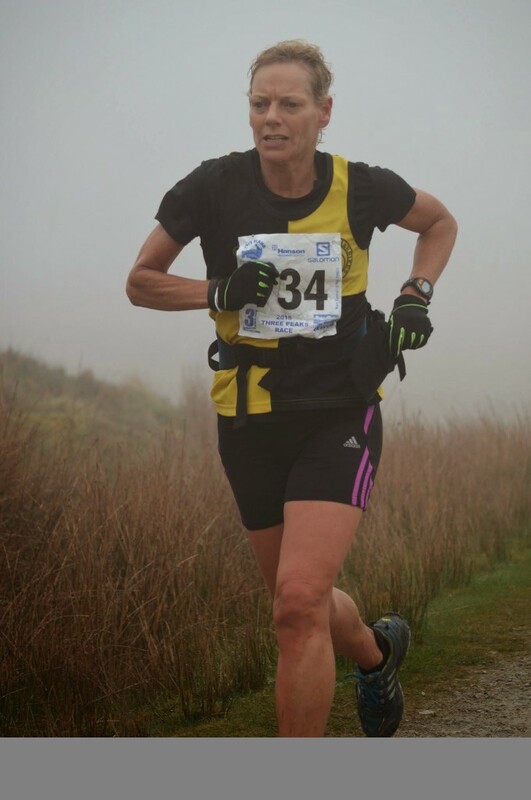 -Self confessed road specialist Emma Yates took to unfamiliar terrain with aplomb, finishing the 61st running of the historic race with a time of 4h:23m:34s for 370th. 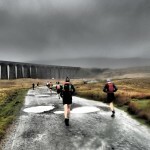 Runners who took a bit over 4 hours were encouraged to the finish by hail and later snow on the high parts of Ingleborough. 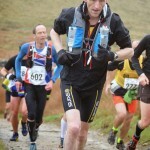 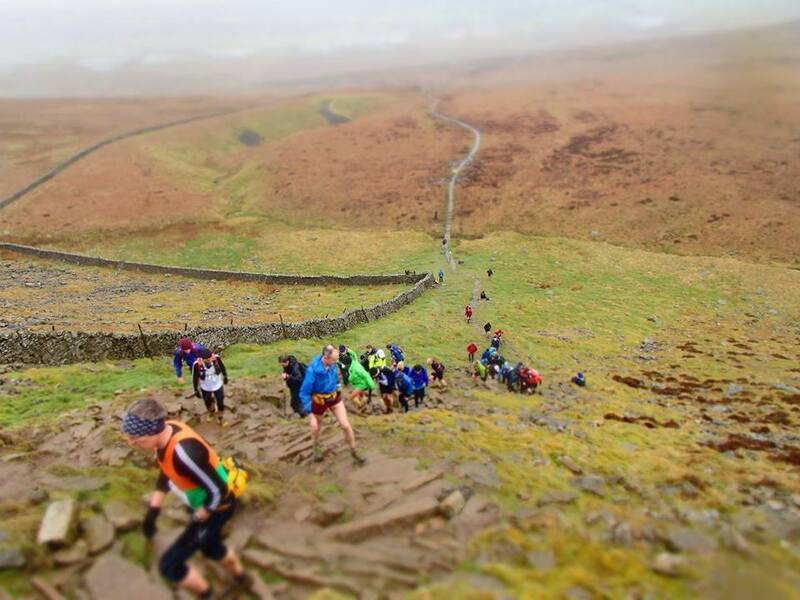 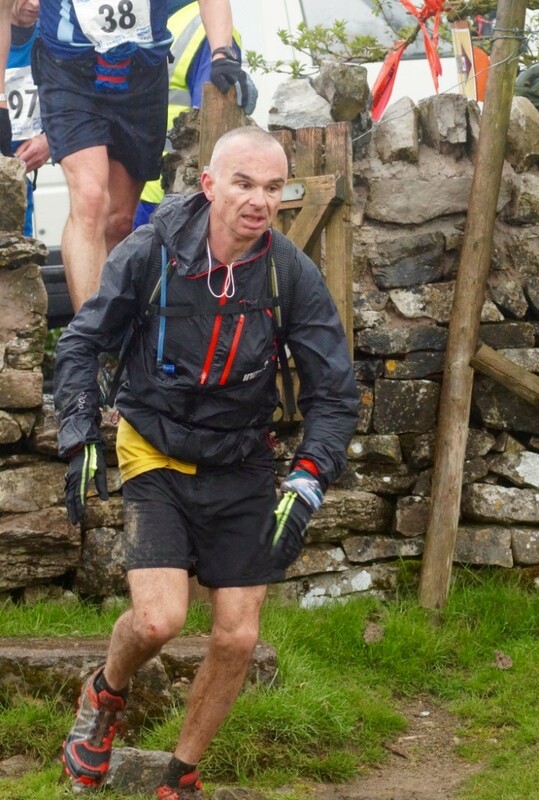 -Stef Durkin had an excellent run , smiling throughout, to achieve a very respectable time of 4h:47m:09s, our recent convert to the fells is now evangelical. 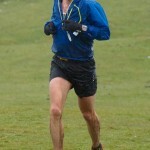 There was no chance the aforementioned inclement weather would dampen Stef’s spirits or his new kit. 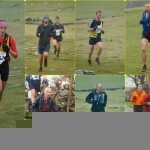 Our five other runners also made epic efforts,all five managing to attain pb’s for the race. 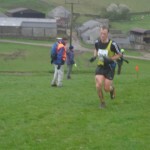 Chris Roberts , Tom Ratcliffe and Giles Hawking ran mostly together in the race’s first half until Chris powered away up the increasingly steep ascent of Whernside, Giles and Tom parted company at Hill Inn in the valley bottom between the second and third peaks, with Barry Atkinson making a late charge up the Knavesmire rankings on the final climb up peak #3 Ingleborough. 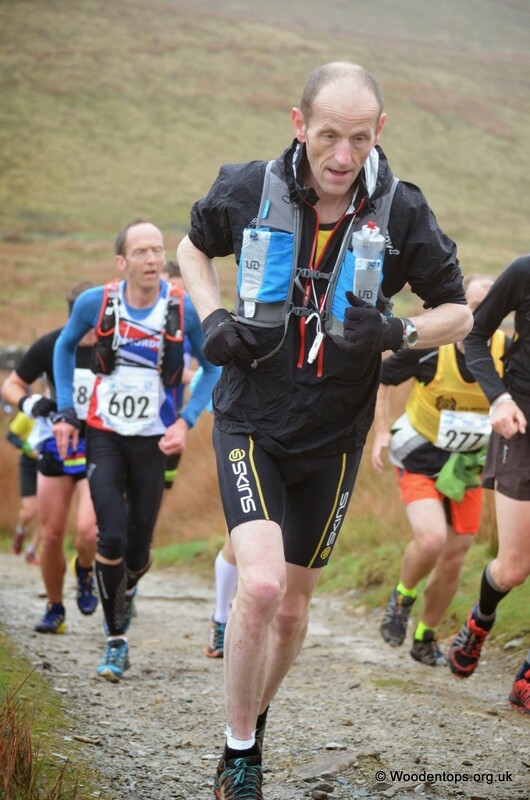 -Chris Roberts was the first of the YKH contingent to finish, his excellent P.b time of 3h:36:46 getting an excellent 74th place. 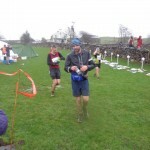 Chris demolished his previous Pb by 20 minutes! 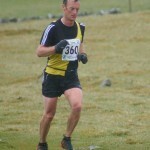 -Giles Hawking was Knavesmire’s second runner to finish with a P.b time of 3h:45m:24s, good enough for 117th. 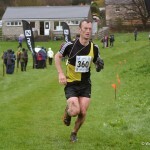 Giles annihilated his previous Pb by 17 minutes! 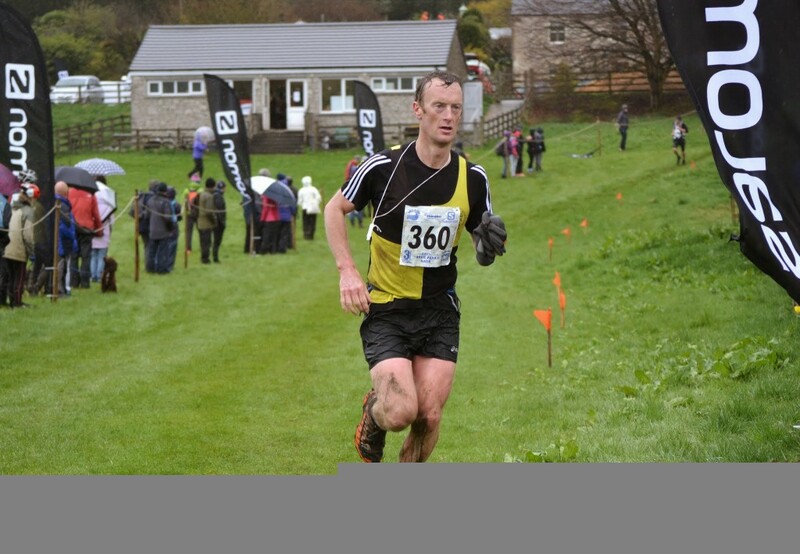 -Third Knavesmire to the finish in Horton was race veteran Barry Atkinson. 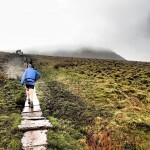 Baz pushed on through the race , progressively working his way up the field, overtaking Tom going up Ingleborough and giving Giles a fright with how close they were, when they passed each other in opposite directions on the out and back bit across the summit plateau of Ingleborough. 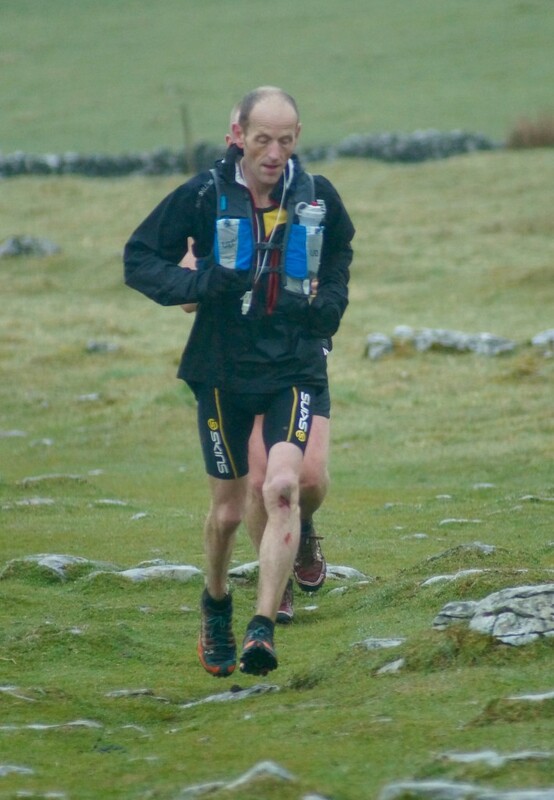 Barry finished in 123rd place , and was 9th M50, his time of 3h:46m:58s might have been a smidgen quicker if he could have summoned the strength after crossing the finish line to get his dibber into the recorder. 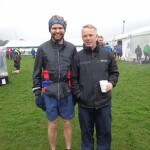 Baz smashed his previous Pb by 10 minutes! 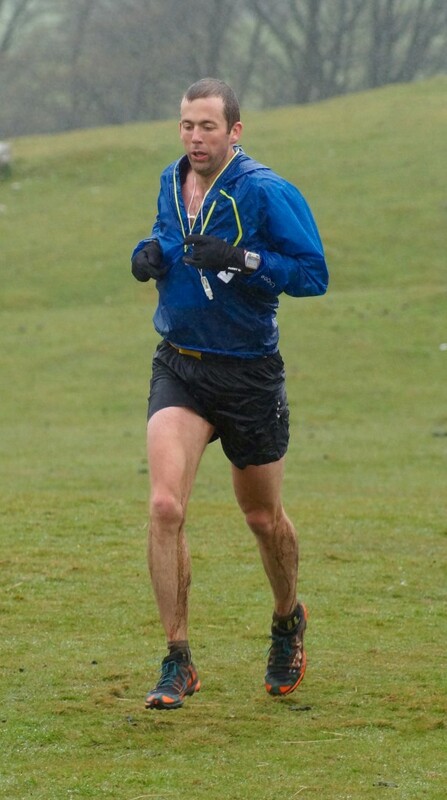 -Tom Ratcliffe battled against exhaustion during the races latter stages to bring home a massive P.b of 4h:01m:54s for 215th. 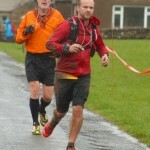 That’s 45 minutes quicker than last year! 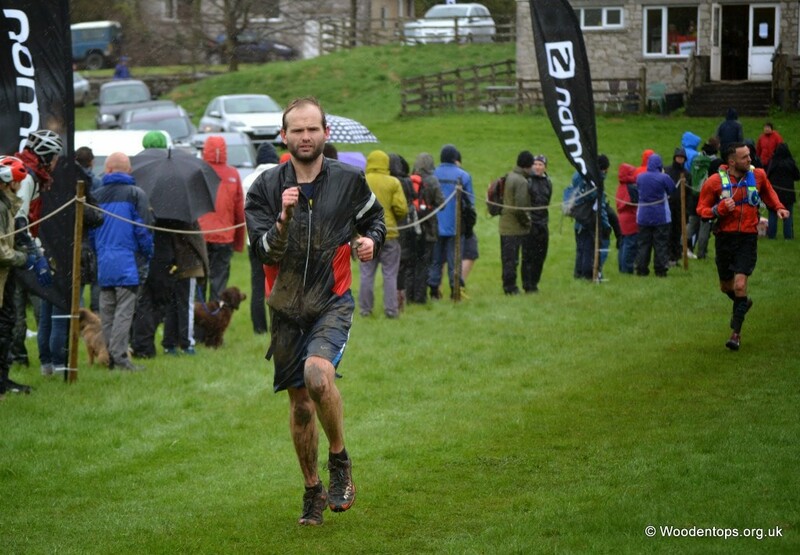 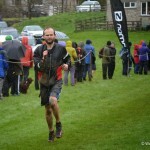 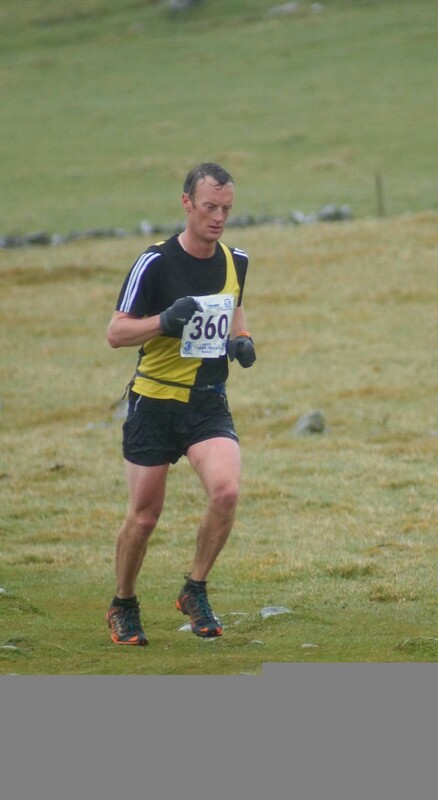 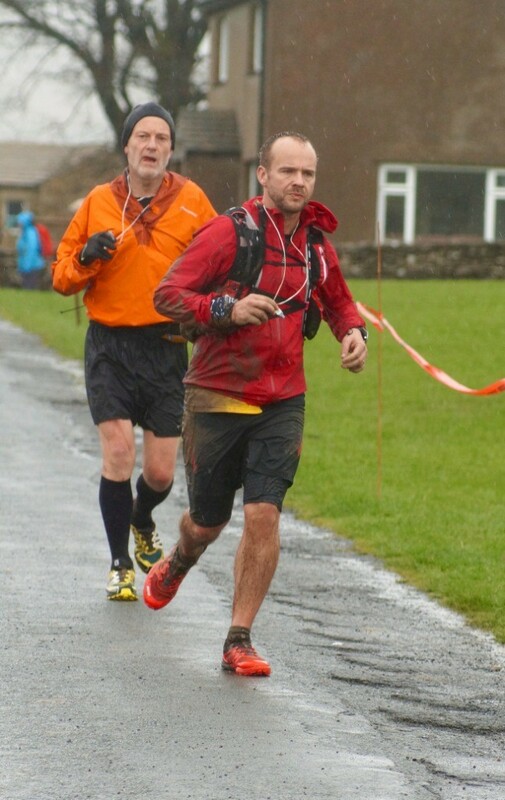 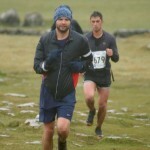 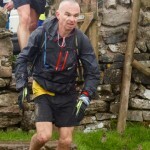 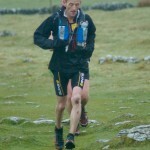 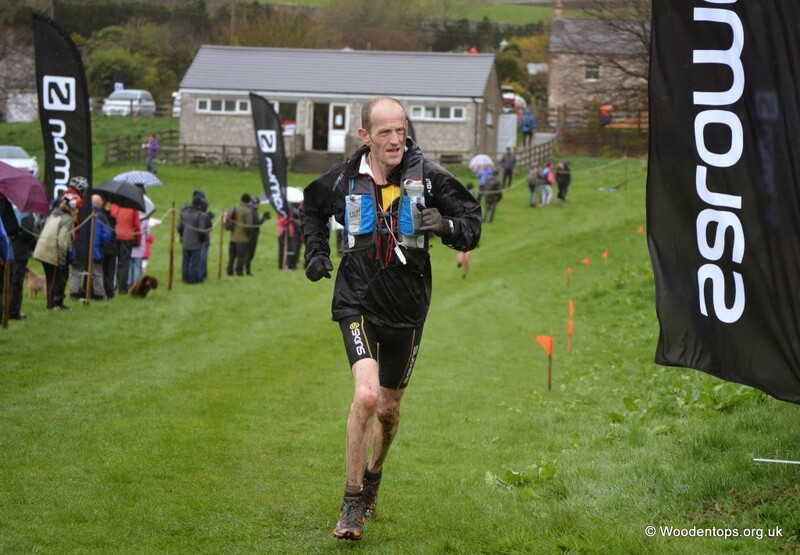 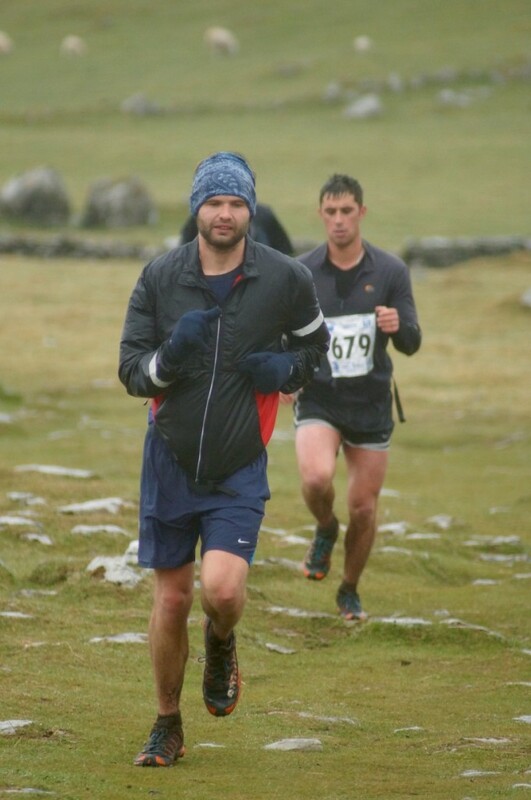 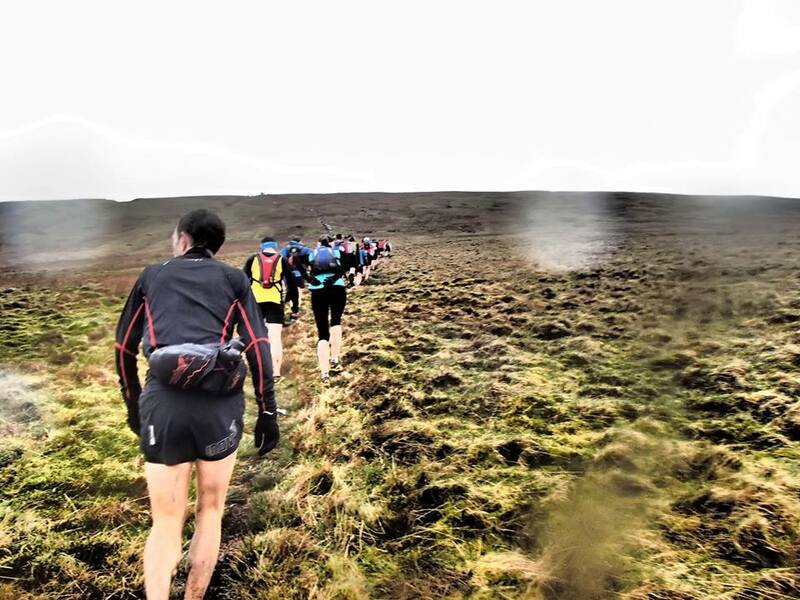 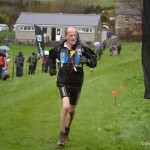 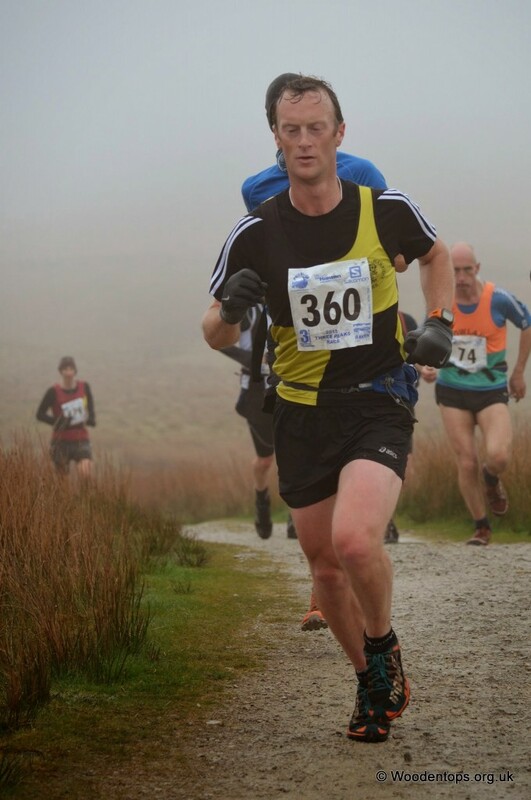 -Richard Ashcroft powered his way up the field , showing great team spirit he ran in unison with Stef whom he caught up with on Ingleborough, I believe Richard’s time of 4h:47m:09s was yet another P.b. 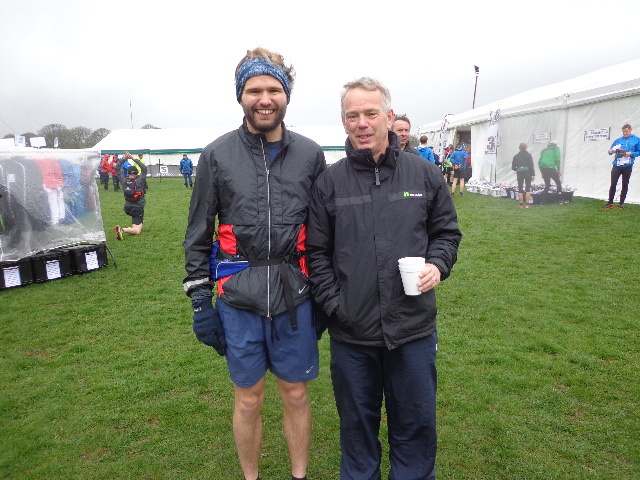 Richard and Stef’s cameraderie was shown by them crossing the finish line together, both logging precisely the same times and finishing position , 527th. 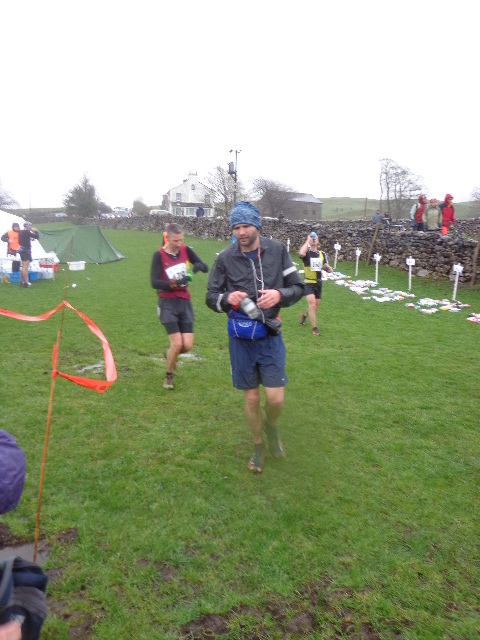 So it was an excellent day out in the Dales, great performances all round , hopefully a few more converts to the race, and a very convivial post race natter was had in the marquee enjoying the free food and hot brews. 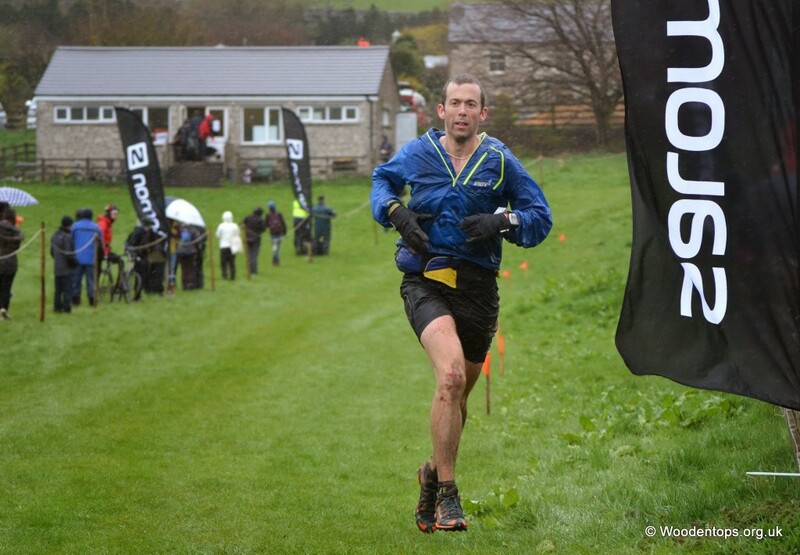 There were 701 finishers of the race , a very high attrition rate with 100 competitors having to stop or not making the cut of times. 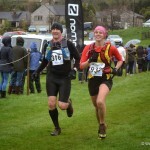 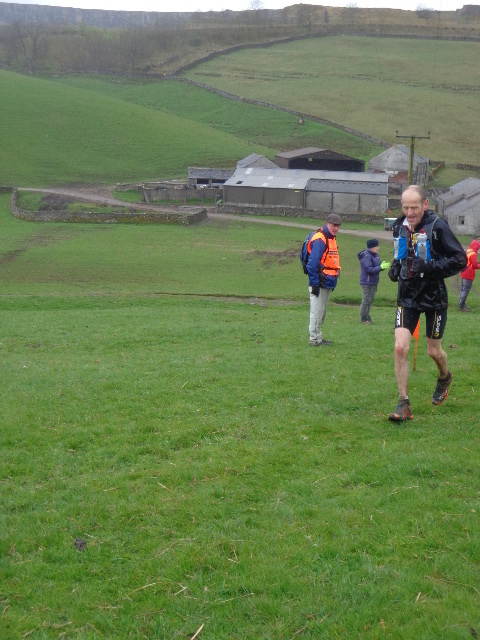 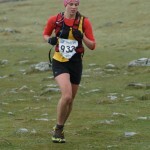 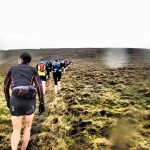 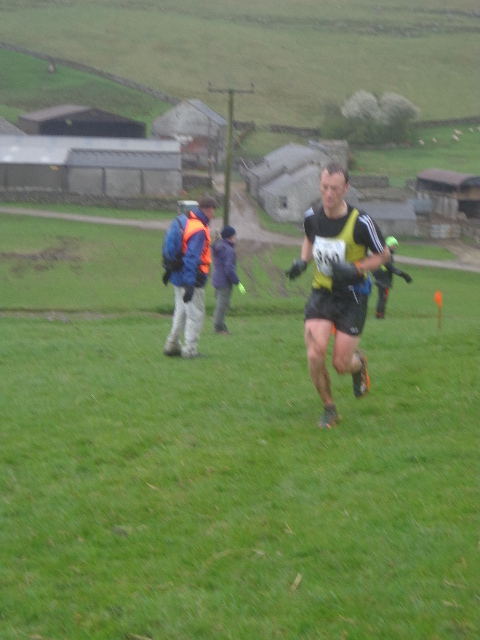 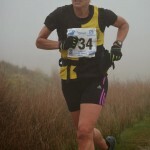 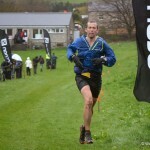 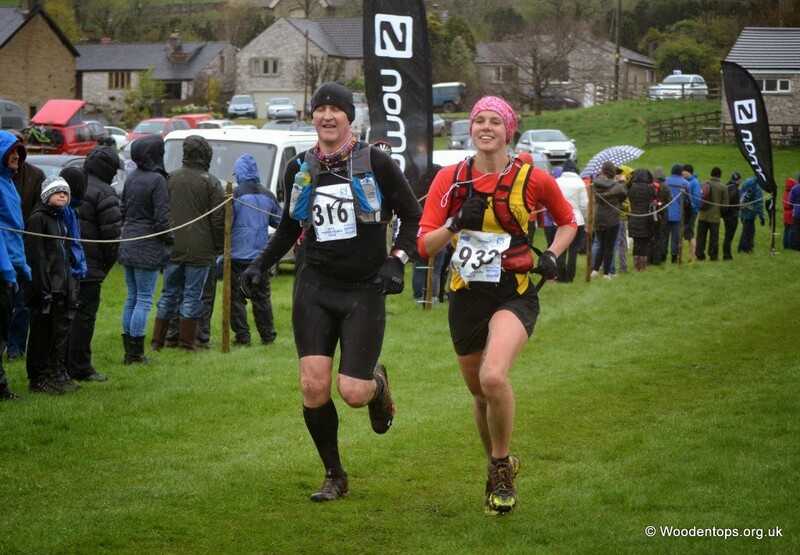 The race was won in a time of 2h:51:42 by fell legend Ricky Lightfoot, first Lady was Helen Bonsor in 3h:27m:24s.